Best served with some mushrooms sliced and cooked in margarine with a little water and are added to the soup before the meal to be served! Simmer on low heat for about an hour. Mix them and add the rice separately. Let soup simmer 5 minutes longer. 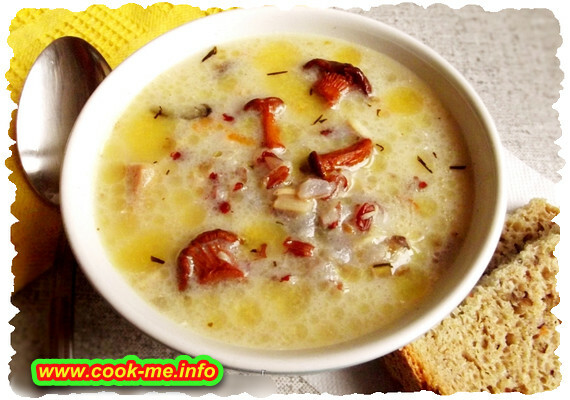 Mushrooms, thoroughly washed and cut into fine strips, boil in cold water with bread core.